Andrew Chin has taken up many challenges around the world - from mid-winter lake swims in Switzerland to swims in Patagonia to ice swims in Antartica. 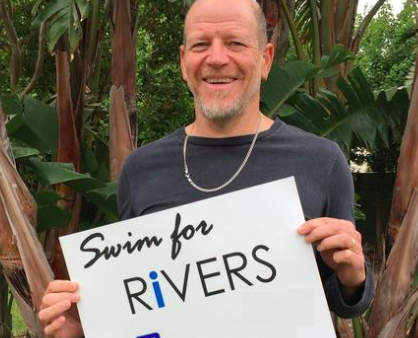 But the Cape Town master of adventure is on his fifth Swim for Rivers, a stage swim that raises awareness around the poor state of South Africa’s rivers and the importance of restoring them. The Swim for Rivers involves 100 - 350 km stage swims down in a major river in South Africa’s nine provinces. Chin set off on November 20th from the source of the Mtamvuna River in Harding district, near Kokstad. His 10-day stage swim will cover 165 km of the river from source to sea, swimming for 5 – 10 hours per day. Fellow South African ice swimmer David Taitz is driving a support vehicle to assist Chin and helping with the safety and logistics along the way. Chin will start off swimming in a relatively clean river near the source, but he will encounter pollution around towns and towards the end. Chin connects with community members and at local schools where he gives talks on the importance of our rivers. Chin can be followed here.